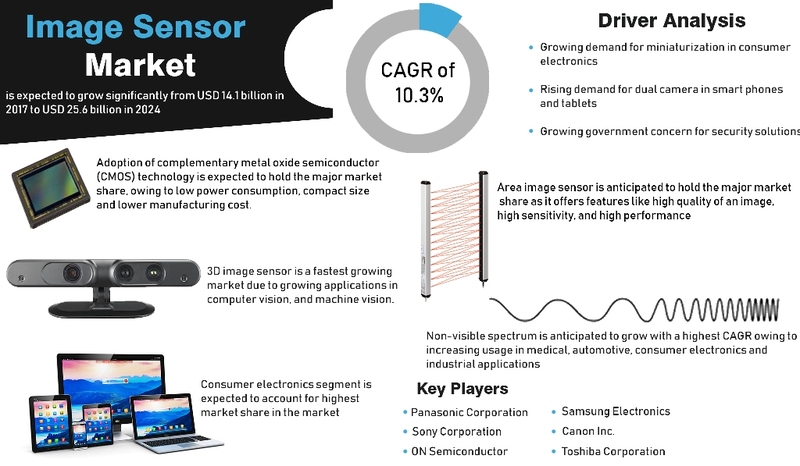 Energias Market Research expects the image sensor market to grow significantly from $14.1b in 2017 to $25.6b in 2024 at a CAGR of 10.3%. However, high manufacturing cost may hamper the growth of the market. "3D image sensor is a fastest growing market due to growing applications in computer vision and machine vision. On the basis of spectrum, non-visible spectrum is anticipated to grow with a highest CAGR owing to increasing usage in medical, automotive, consumer electronics and industrial applications. 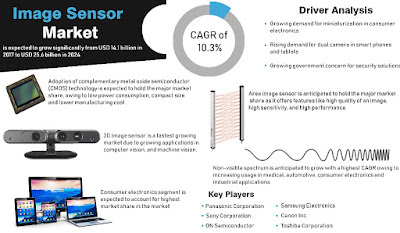 Based on application, consumer electronics segment is expected to account for highest market share in image sensor market."